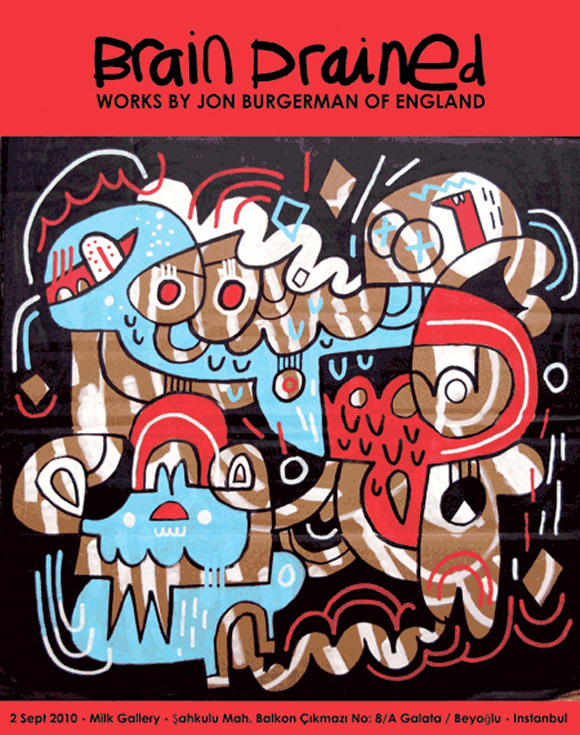 England’s revered doodler, Jon Burgerman will be showing his new solo exhibition, Brain Drained at the Milk Gallery in Istanbul. The opening reception is this Thursday, September 2. Unfortunately Jon won’t be able to be at the opening in person but with a little help from technology, he will be able to partake in some digital doodling via Skype. Check out Milk Gallery’s website for more details. The post Brain Drained By Jon Burgerman At Milk Gallery appeared first on Kidrobot Blog.